There is another stupendous performance this week in Copenhagen that you ought not to miss. READ MORE: Theatre review: Can you carry a secret to your grave? And this one has come all the way from New York to perform at Tivoli. There are still tickets left and I highly recommend you attend as this is a once-in-a-lifetime phenomenon well worth seeing. 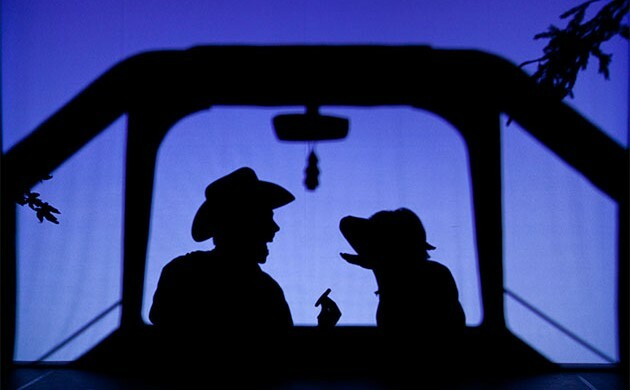 With over 40 years experience, the Pilobolus Dance Theater company presents ‘Shadowland’, a performance created by its dancers and choreographers in collaboration with Steven Banks, the head writer on the popular animated series ‘SpongeBob SquarePants’, which is told entirely in silhouette. We are submerged in the story of a teenage girl who longs to be an adult. You feel her agony as she fights to survive in her dream-like existence, or should that be living nightmare? Over the course of the play the girl is transformed into a half-girl, half-dog hybrid who encounters laughter wherever she goes. Without any expectations or knowledge of what we were about to behold, we attended the show and were immediately wowed by the non-stop procession of phantasmagoric figures of animals, freaks and monsters that help tell this bizarre story complete with over-the-top dances. You may at first glance think there are a whole load of effects in play because some of them defy belief, but there are no digital tricks in this performance. It’s all accomplished through the bending and forming of body parts – limbs, torso, legs and hands – to create the shadowy shapes. The scene in which they are pretending to be underwater, which is performed with such perfection and authenticity it feels they are in the ocean, left us speechless. As did the one when they are ‘driving a car’. Lead actress Heather Jeane Favretto was a revelation, whether it was dancing or contorting her body to transform into the dog-girl. And as if this isn’t enough, expect a personal appearance at the end that will make you jump out of your seat! With excellent reviews from the critics – “This is an amazing spectacle of inventiveness” praised Le Parisien – comes a story about accepting and loving yourself for who you are and not rushing to grow up. If in the rush to adulthood, you decided to give shows like this a miss, more fool you!